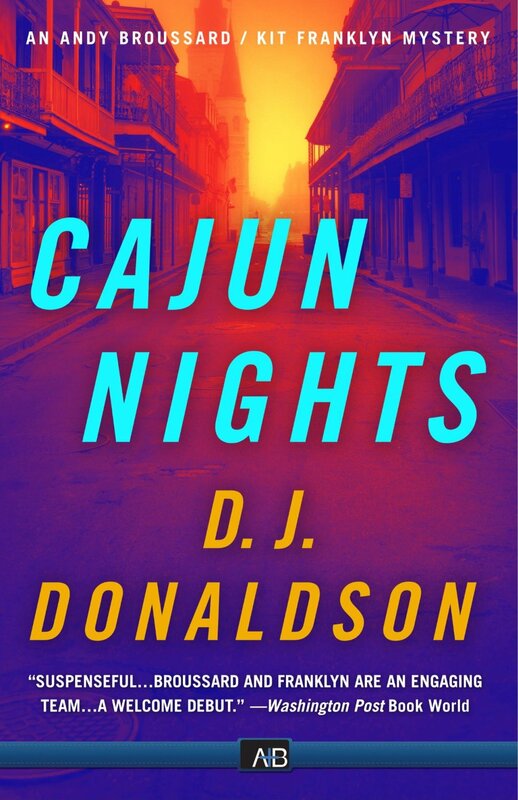 Cajun Nights was my first novel featuring New Orleans medical examiner, Andy Broussard, and his suicide/death investigator, Kit Franklyn. A few weeks after the book was published, I got a call from my agent with the surprising news that, “There’s been a flurry of movie and TV interest in your book.” I’d never considered that such a thing was possible. So that was one of the best phone calls I ever had. Subsequently, a production company headed by the former director of programming at CBS took an option on the series, planning to shape it into a TV show. As perhaps some of you know, this phase of things is known as “development hell”, because it takes a very long time to make anything happen. So a year went by with no news. I figure, okay, the thing is dead. But, the producers renewed their option for another year, which meant I got paid again. It wasn’t a lot of money, but with that check, I’d made more money from the two option years than the advance I was given on the book by the publisher.